Established in November 2014, Torikin is one of a few unique Japanese restaurants in Singapore that offers Kyushu cuisine. Kyushu is considered an "undiscovered gem" by tourists and is known not only for its rich history and beautiful scenery but its amazing food as well. 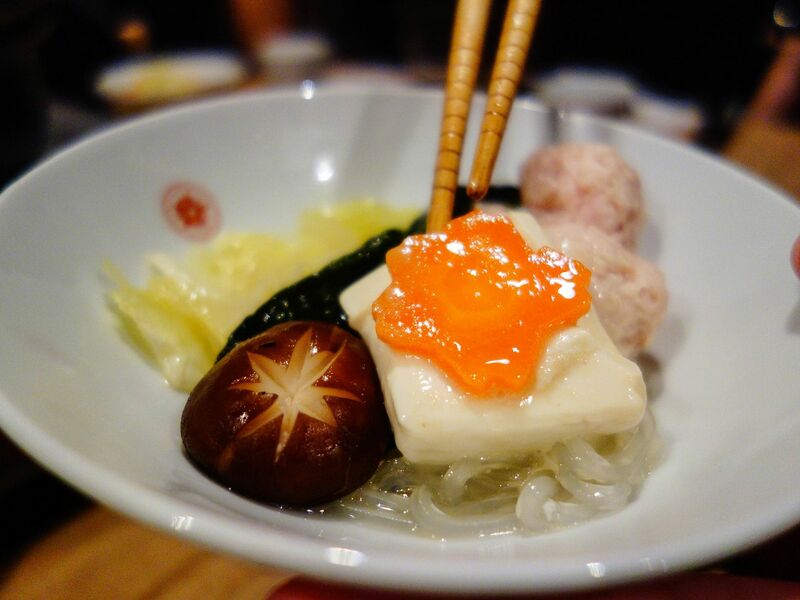 Kyushu cuisine is described to be hearty and homely yet refined and full of flavour. I just had to try it! Torikin is located at the corner of Crown Centre, at the junction of King's Road and busy Bukit Timah Road. The restaurant is segmented into four areas which you may pick according to your fancy (subject to availability): alfresco, booth tables, horigotatsu-styled (sunken areas beneath the dining tables) rooms and the sushi & bar counter. Bagna Cauda is an Italian dish, which translates to "hot dip". 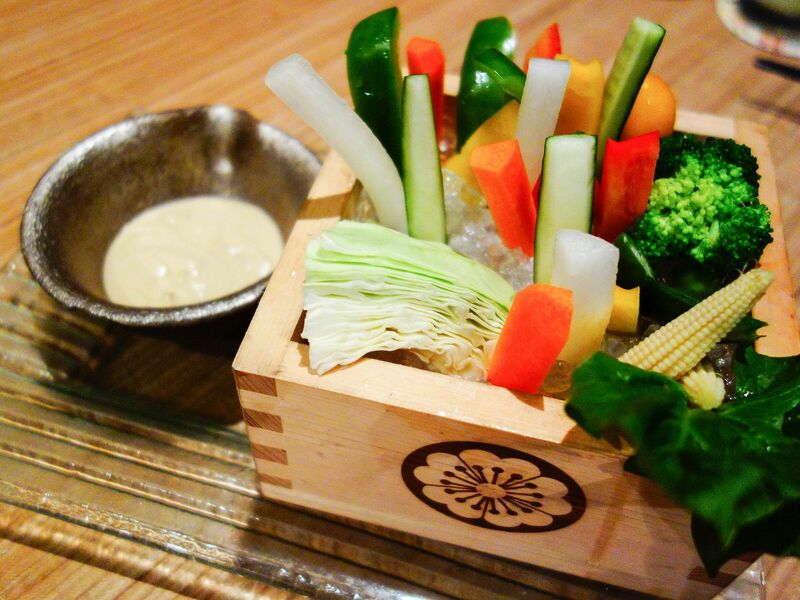 However, instead of serving the dip hot, Torikin serves it cool just like the raw vegetables served on a bed of crushed ice. The dip, which is made of garlic anchovies and fresh cream, does not leave a pungent aftertaste in your mouth but rather, makes a good complement to the vegetables such as broccoli, baby corn, cabbage, carrots, cucumber, radish and peppers make this a simple refreshing appetiser. I am just unsure if I would pay $13.80 for raw strips of vegetables and a dipping sauce. The locals colloquially call oden, Japanese yong tau foo. 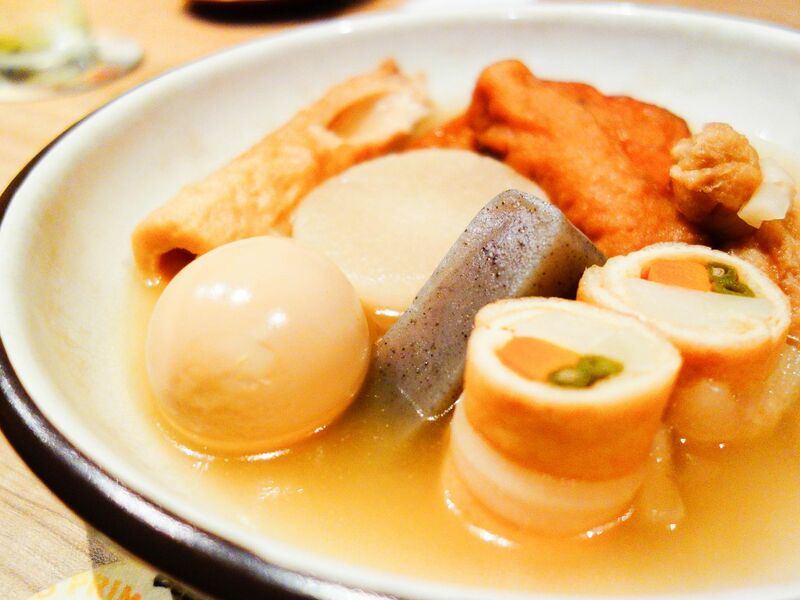 Oden is a soup dish that consists of typical ingredients like tofu, boiled eggs, daikon, konjac (or konnyaku) and fish cakes stewed in a light dashi broth. I find this dish extremely comforting and it is no wonder that it is a favourite during wintertime in Japan. The light soy-flavoured dashi broth is subtle yet tasty and the sheer variety of ingredients make this a hearty meal. Torikin serves this dish with a dab of mustard on the the side just in case you need a 'lil kick in each bite. Strangely, though I'm not Japanese, this meal makes me feel like I'm right at home. Something on the menu piqued my curiosity. 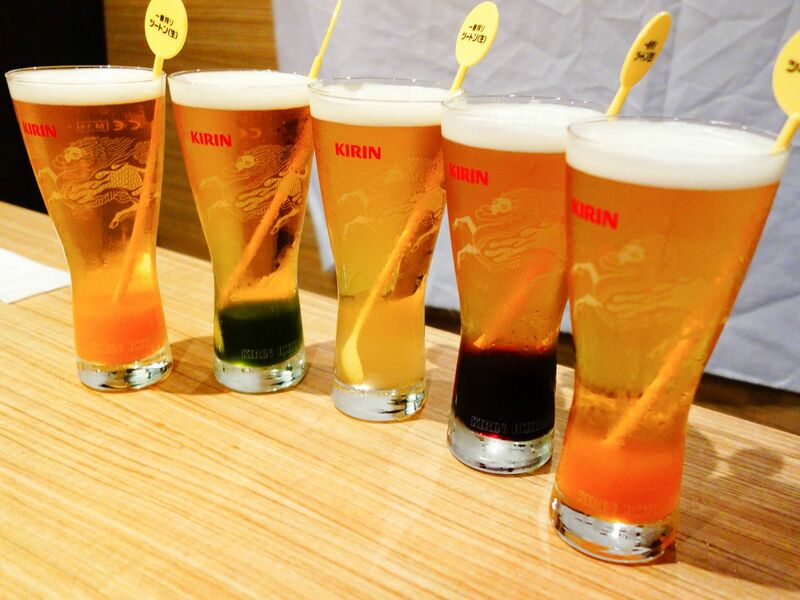 It was the two-toned Kirin Ichiban beer cocktail that was available in five different flavours: green tea, lychee, mango, Japanese grape and Japanese orange. (No prizes for guessing which is which in the photo.) My favourites were the lychee and grape syrups while the others were a tad too sweet and thick for a beer. These beer cocktails are certainly easy going and definitely catered towards the younger crowd who prefer something fruity and less strong. Chicken nanban is a yōshoku dish - a Western influenced Japanese dish. 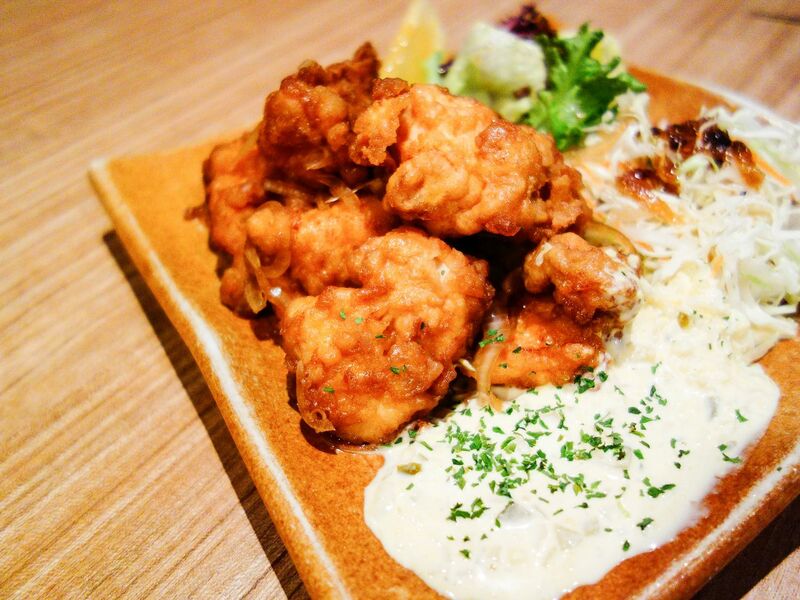 The fried chicken is normally seasoned with vinegar but the Kyushu rendition has an added sweet tartare sauce. The flavours are bang on but I think the execution was not as great. The fried chicken though juicy, was soggy due to it being doused in vinegar and caramelised onions. It would be a fantastic dish if the chicken exterior remained crispy. One of my favourites for the night is the Hakata tonpei yaki. 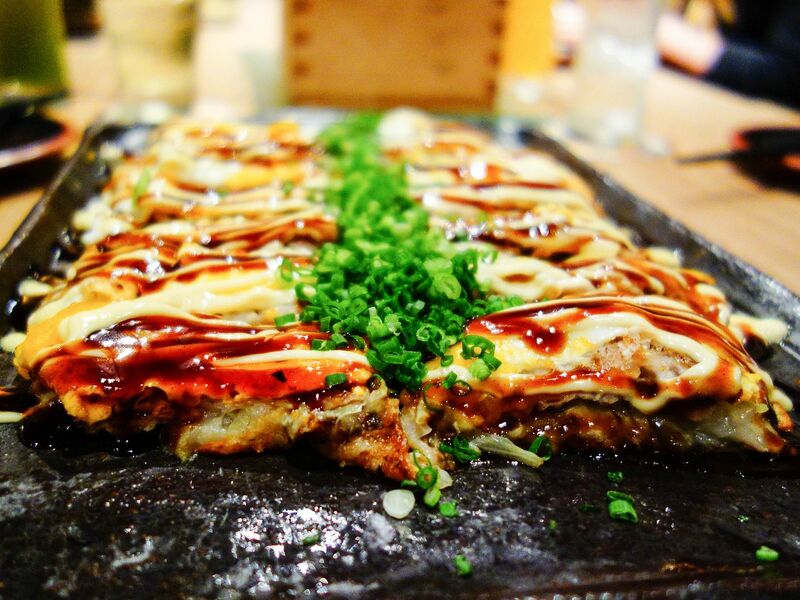 It is found in Torikin's toubannyaki menu, which refers to "food grilled on a ceramic plate". Torikin uses this technique so that the ceramic plate effectively radiates heat evenly to the food for consistent temperatures throughout, making the food taste that much better. Thanks to science, I have this perfect ensemble of lean pork slices and cabbage encased in an omelet topped with the familiar okonomiyaki sauce and Japanese mayonnaise we all love. It was a moment of déjà vu as I felt I was back in Japan on holiday. 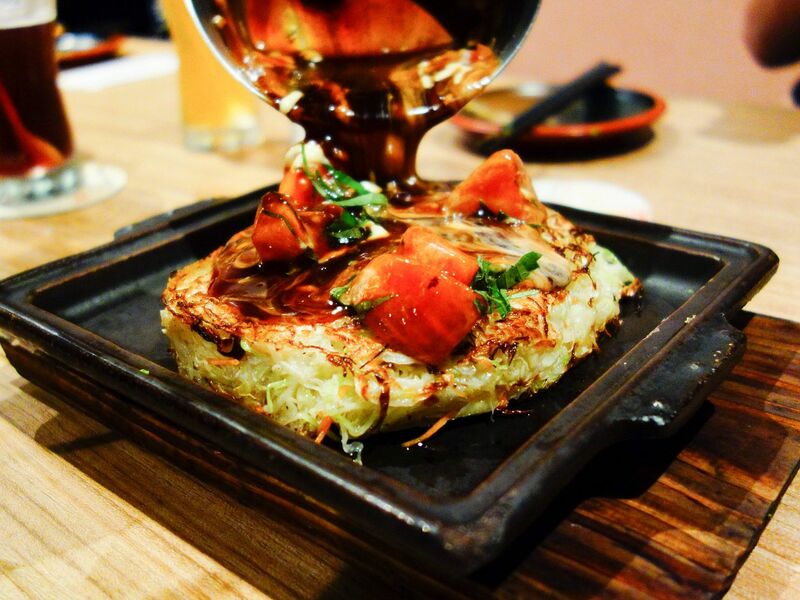 Also from the toubannyaki menu is the tomato okonomiyaki, Torikin's take on the Japanese savoury pancake is that it is loaded with soft cabbages and carrots topped with a decent portion of chopped tomatoes. Despite that, do not let the abundance of vegetables fool you into thinking that this dish is lacking in taste. The wonderful composition of that sweet okonomiyaki sauce and Japanese mayonnaise made me eat every single shred of cabbage and it also made me lick the plate clean. (My serving plate, not the hot plate, mind you.) This would be how I wished my mother had fed me my vegetables when I was younger. 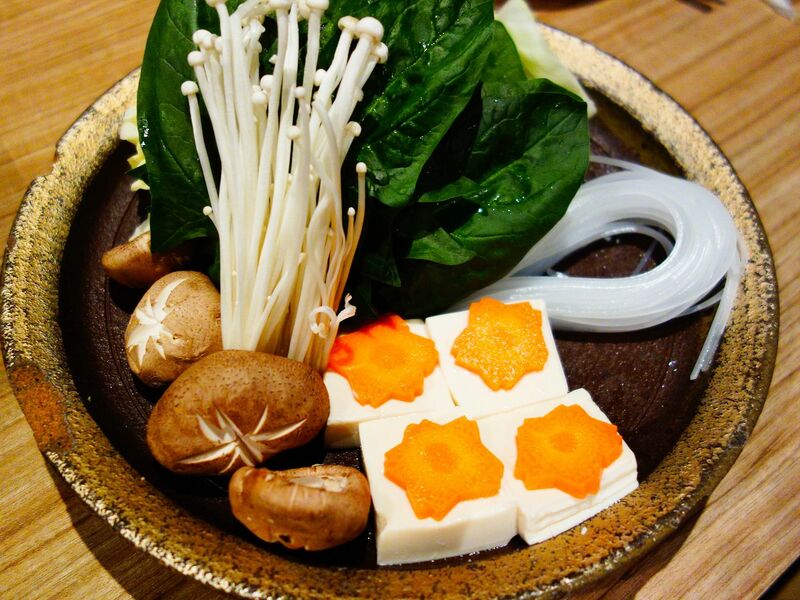 Torikin's famed signature dish is Hakata mizutaki, which hails from the Fukuoka prefecture in Kyushu. 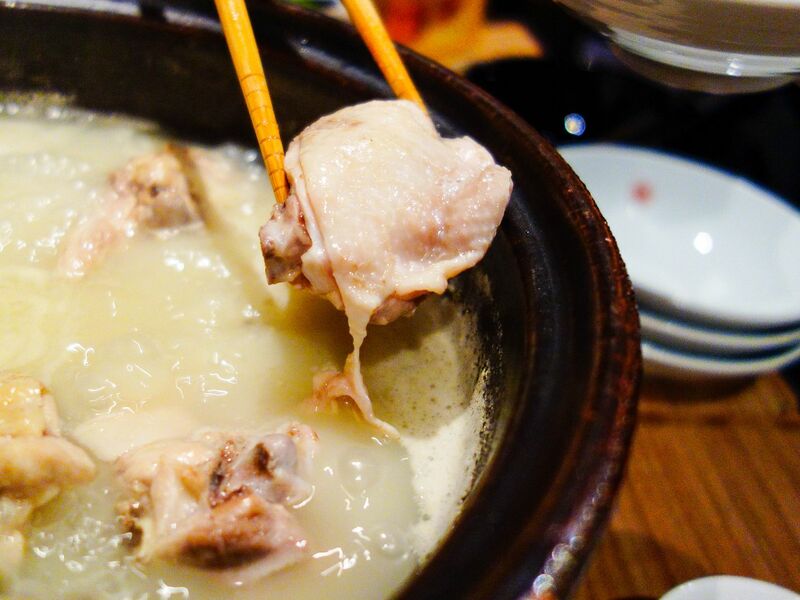 Mizutaki is a hotpot chicken dish that has many health benefits as its rich in collagen and fibre. The manager mentioned that the stock is made daily from Sakura chickens and boiled for seven hours with zero additives. The final product is a pale light broth of natural collagen that tastes natural and refined compared to other collagen-enhanced hotpots. 1) Pour the collagen chicken soup from the pot into a small soba cup and taste. Thereafter, add a pinch of salt and spring onion to the cup and finish. 2) Eat the Sakura chicken with Torikin's very own ponzu sauce (Japanese citrus vinegar) drizzled over it. A variety of condiments are available including a yuzu chili paste. 3) While eating the chicken, the staff will mould minced chicken meatballs and cook them in the soup. Once the meatballs float, they are ready to be eaten. 4) Shiitake and enoki mushrooms, carrots, tofu, spinach and rice noodles are then added to enhance the broth and for you to enjoy. 5) Not to waste any nutrients, rice and egg are added to the wholesome broth and to be eaten as a zōsui (Japanese rice soup). I love hearty and rich soups so it was no surprise that I thoroughly enjoyed Torikin's Hakata mizutaki very much. Though the ingredients may not appear very filling, it was still very satisfying. The hotpot may seem pretty complex but the taste was wonderfully simple and refined. I will update you on whether my face feels any firmer from all that collagen but one thing is for sure, my tummy feels firmer. To end things on a sweet note, I had the karinto manju for dessert. 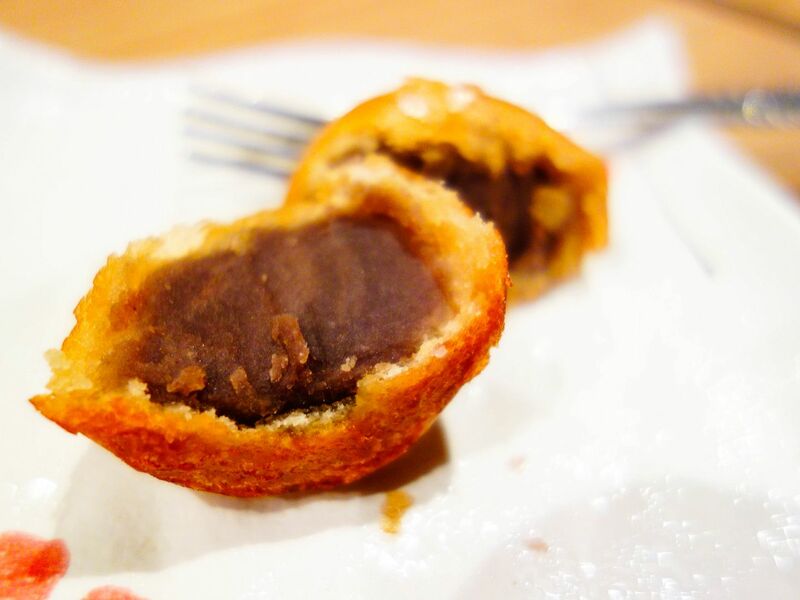 Karinto manju translates to "deep fried sweet bean bun". The filling was a sweet red bean paste while the bun was made from flour and brown sugar fried to crispy-golden-brown perfection. A bit of warning though, for the price, the karinto manju is pretty small, maybe the size of a golf ball, but it leaves you wanting more. In Japan, you can get four or five of these tidbits for the same price. The sweet crispy exterior really takes the cake on this one or should I say, the bun. Overall, Torikin has impressed me. The food tastes authentic and makes me reminisce my time in Japan. I believe there is no other restaurant in Singapore that offers Kyushu cuisine AND the Kyushu experience like Torikin does. My advice would be to come with friends and family so you are able to enjoy the hotpot and amazing side dishes such as the toubannyaki without doing too much damage to the wallet. The prices are a bit steep for my liking but the ambience and excellent service sort of makes up for that. Torikin has positioned itself as a "casual dining space", welcoming for families and groups of friends but while the food is hearty and homely; it is indeed refined and tasty.